The French car company named for an Italian engineer, and owned by a German conglomerate was founded in 1909, as Automobiles Ettore Bugatti in the town of Molsheim in eastern France. Some of the highest performing cars of their time, those early Bugatti models proved themselves consistently, both in Grand Prix racing and at highly regarded motorsports events such as the 24 Hours of LeMans. Autobytel’s Bugatti reviews keep one eye on the legacy of this historic brand, while keeping another on the present capabilities of its cars. Further, our team of dedicated professional automotive reviewers considers the styling, comfort, power, and performance of each Bugatti model we evaluate. We also provide in-depth analysis of the exceptional engineering these cars reflect. The Volkswagen Group purchased the Bugatti nameplate in 1998 to establish Bugatti Automobiles S.A.S. The company then proceeded to build the fastest series production supercar the world has ever known. 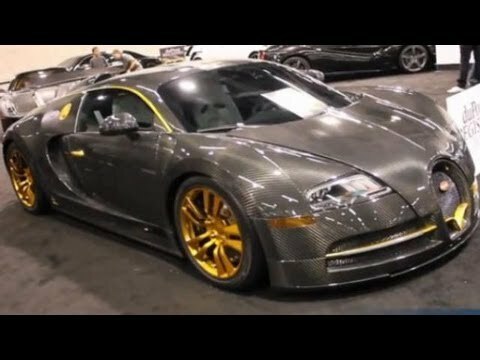 The Bugatti Veyron 16.4 uses a quad turbocharged 16-cylinder engine. The current ultimate iteration of this all-wheel drive sports car makes 1200 horsepower, costs in excess of $2.2 million, and is capable of a top speed of 255 miles per hour. Throughout their history, Bugatti automobiles have been associated with speed, precision and beauty. The company’s founder, Ettore Arco Isidoro Bugatti engineered his engines to tolerances so exacting, no head gasket was required to seal the top and bottom halves of them together. Granted, the purchase decision regarding such a car is quite unlike that of lesser cars. Still, our Bugatti reviews provide in-depth evaluations of the styling, comfort, power, and performance of each Bugatti model we review.